Once upon a time Timothy Ray (owner of ?Willards) was a beginner along with Dave Alan and Tom so they all understand the frustration you go through when starting up! Whether your 5 or 55 fishing is a sport you can easily start with a very low start up fee, and we know all the tricks and tips to keep your costs down and your tackle simple. Lets be honest a stick and line would catch a fish! At Willards we understand that young people starting up fishing are the future of the sport and so will try our best to help you out and get you started! Despite?rumors?it can be incredibly cheap to start fishing, with a cast array of different ways to start we can?keep?the cost low! Once started you also have a very small fee to keep going, so there is no excuse. It is common to think that you need all the best and most expensive equipment to start fishing but this isnt the case at Willards! The fish dont know what your using, it is alll about how you present the bait in the water, which means whips are a great way to start. 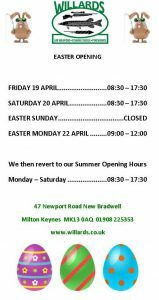 If you want to get going then head down to Willards and speak to any of the staff they will always be happy to help. If you want to start a certain type of fishing then we can help advise you on the best routes. If you are restarting fishing and you have some old equipment but are unsure on its ability then bring it down, we can re spool reels for you and sometimes even repair old parts of rods and more! We look forward to seeing plenty of new faces in the shop!! !